Custom built, open concept, charming home with vaulted ceilings right across the street from the majestic Deschutes River. This single level living home is easy to maintain with room for your toys, double garage, detached storage w/ electricity, built in cabinets & shelves, nearly 1/2 is heated. Greenhouse attached to storage. Do not miss the insulated massive storage area in the attic w/ access through the laundry room. Your own oasis-beautifully landscaped yard w/sprinkler system installed. Home is ready for those big winter storms with heat tape installed on roof, which was replaced in 2008. Deck is prepared for your new hot tub to be installed w/ 110V Power. 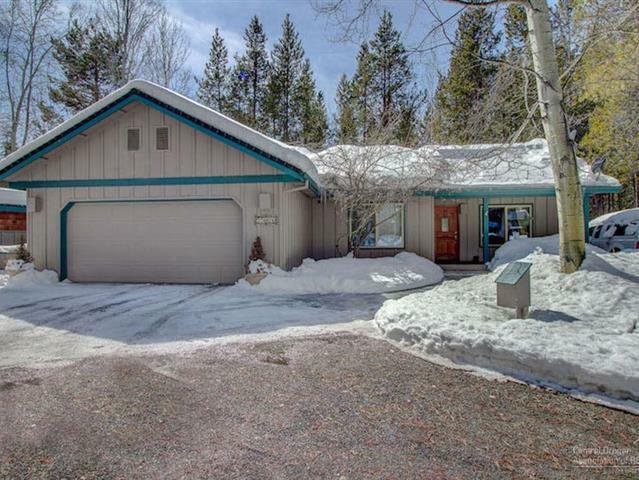 Great round gravel driveway, expansive windows in living room and master bedroom, RV hookups, toasty wood burning stove, and great outdoor entertaining space. Third bedroom could also be used as an office. Oregon Water Wonderland 2 community has boat access to the river, low HOA dues of $275 annually, community sewer & water.